Διαθέσιμη η δοκιμή του Office 2016! Ο Kirk Koenigsbauer αντιπρόεδρος του Office 365 ανακοίνωσε μέσα από το Blogτου Office την δυνατότητα οι IT Pros και οι Developers να γραφτούν στη δοκιμαστική έκδοση του νέου Office 2016 για να δοκιμάσουν τα παρακάτω Features! Εάν σας ενδιαφέρει μπορείτε να κάνετε εγγραφή σε αυτόν το σύνδεσμο! We’ll share more on the end-user enhancements planned for this release at a later date, but here’s a brief summary of some of the valuable updates for IT pros and developers. Data Loss Protection (DLP)—Over the last few years we’ve added DLP to Exchange, Outlook, OneDrive for Business and SharePoint. Now we’re bringing these same classification and policy features to Word, Excel and PowerPoint. With these new capabilities, IT admins can centrally create, manage and enforce polices for content authoring and document sharing—and end users will see policy tips or sharing restrictions when the apps detect a potential policy violation. Better network traffic management. We’re introducing a new Background Intelligence Transfer Service (BITS) to help prevent congestion on the network. BITS throttles back the use of bandwidth when other critical network traffic is present. Enhanced distribution management. We’re improving our integration with System Center Configuration Manager (SCCM) to allow IT admins to efficiently download and distribute monthly Office updates using the native SCCM features. Flexible update management. We’ve created a way for admins to manage the pace at which they receive feature updates and bug fixes while continuing to receive regular security updates. Simplified activation management. We’re adding a feature in the Office 365 Admin Portal to allow admins to manage device activations across users. Accessibility—We’ve improved keyboard accessibility for high-value Excel features like PivotTables and Slicers, addressed a number of readability issues in Outlook, and introduced a dark theme for users with visual impairments. Information Rights Management (IRM)—We’ve extended IRM protection to Visio files, enabling both online and offline protection of Visio diagrams. These are just some of the new capabilities IT pros and developers will experience in the Preview. We’re excited about this milestone in our development process and are looking forward to hearing your feedback. 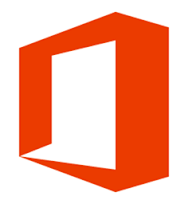 For more details on the Office 2016 Preview program and instructions on how to download the applications, please visit the Office 2016 Preview program on the Microsoft Connect site. We’ll continue to update the product with new features as they become available and will periodically highlight significant announcements here along the way.